At this stage the West Harbour Ferry Service does not operate on Saturday or Sunday. At this stage the West Harbour Ferry Service does not operate on Public Holidays. Needing to make a connection? All paper tickets are sold on board the vessels. Cash, EFTPOS, Visa and MasterCard accepted. AT HOP cards can also be topped up or loaded with a Monthly Pass online or at your nearest AT Hop Retailer. Visit Here for more information. All passengers travelling on a concessionary fare must carry appropriate ID and present it as requested. * Under 14 years must be accompanied by an Adult. Please call Belaire Ferries on 09 416 6344 to discuss travel options. ** Secondary students 16 years and older must provide Student ID to be eligible for a concessionary fare. *** Free senior citizen fares are available for travel from 9:00am with an AT HOP card loaded with a valid SuperGold concession. For travel prior to 9:00am, adult fares apply. Ferries depart from Pier 3B, which is located directly opposite the bottom of Albert St. The downtown car park is closely situated with the entry at corner of Lower Hobson Street and Customs Street West. Belaire Ferries Ltd are the proud providers of the West Harbour Ferry service. 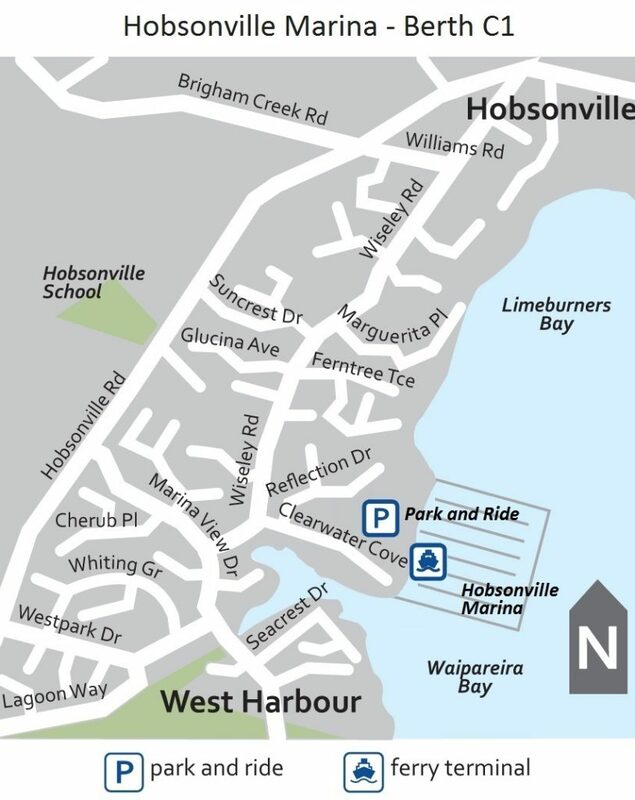 We operate from easily accessible Hobsonville Marina (formerly Westpark Marina), providing a regular service to and from downtown Auckland, Monday to Friday (excluding public holidays). Belaire Ferries pride ourselves on delivering a quality service with an emphasis on safety and customer satisfaction. Catching the ferry is a relaxing way to travel for regular commuters and tourists alike. In 30 minutes you can be in the CBD without the stress of traffic and in less time than it would take on the motorway. Tickets are all sold on board. We accept cash, Visa, MasterCard and Eftpos. Can I use my AT HOP card on this service? Yes, AT HOP tag on/off machines are located on the wharf at both West Harbour and Downtown ferry terminals. Do you accept SuperGold Cards? Yes, we accept SuperGold on all our services from 9.00am onwards. Travelers must have an AT HOP card loaded with a SuperGold concession to get free travel. Please ensure you tag on no earlier than 8:55am to ensure your trip is free. 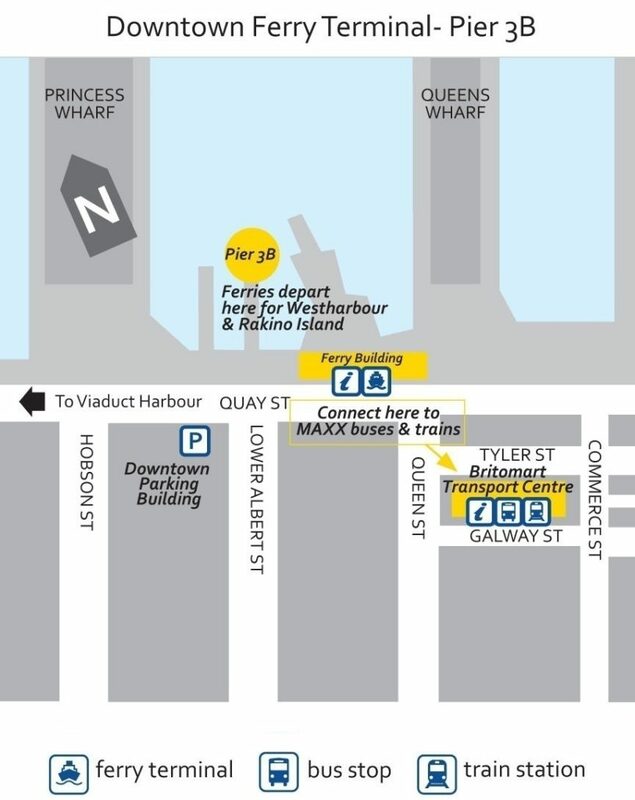 Downtown Ferry Terminal – The downtown car park is closely situated with the entry at the corner of Lower Hobson Street and Customs Street West. Animals are not permitted on board unless used for special needs purposes. Where do I go to connect to other public transport? If, due to either extreme weather or other unforeseen situations, we are unable to provide a ferry, we will endeavor to transport you by road to your destination. A staff member will be on site to assist you. Registration text will cost a standard text fee. 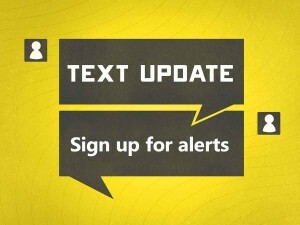 All text alerts sent to you will be free of charge. To unsubscribe, text "STOP" to 021 043 2597.